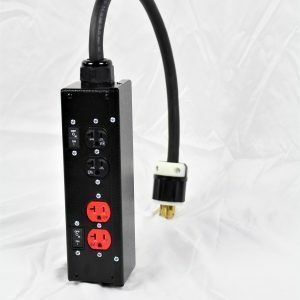 Efficient, tough design makes this adapter a fantastic addition to any power system. 12/5 SO cable preserves current and enhances performance. Color-coded outputs make for an intuitive user experience. 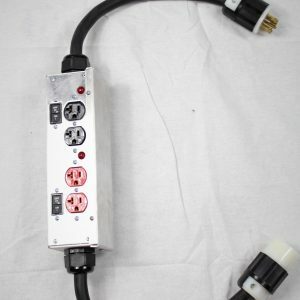 As a power/lighting system architect, you can be as creative as you want, but if your components are inferior, your job won’t be any fun. 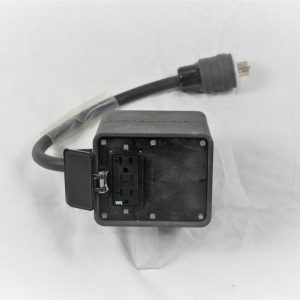 Whether you’re on the road and need to be able to travel light or you’re responsible for complex production lighting, this portable power adapter will make your life much easier. 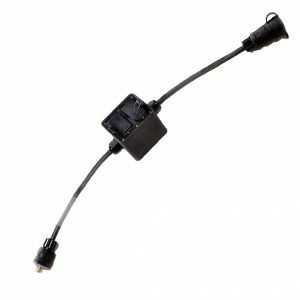 Its 18-inch cord and passthrough design help it blend seamlessly with other components and take their performance to the next level. Contact us for a consultation today! TRI ADAPTER 18” WITH PASS THRU. OUTPUTS: 3 EACH 20 AMP, 125V (NEMA 5-20) DUPLEX RECEPTACLES. 1BLK, 1RED, 1BLU. 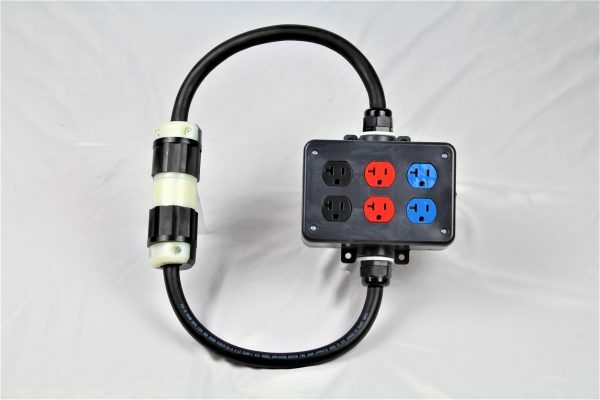 1 EACH 20 AMP, 120/208V (NEMA L21-20) CONNECTOR ON 18” OF 12/5 SO CABLE.